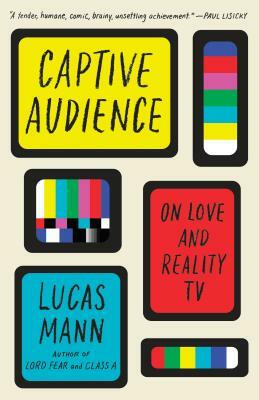 LUCAS MANN was born in New York City and received his MFA from the University of Iowa, where he was the Provost's Visiting Writer in Nonfiction. He is also the author of Lord Fear: A Memoir, which was named one of the best books of 2015 by The Miami Herald, Kirkus Reviews, Paper Magazine, Largehearted Boy, and Oprah, and Class A: Baseball in the Middle of Everywhere, which was named one of the best books of 2013 by The San Francisco Chronicle. His essays have appeared in Guernica, BuzzFeed, Slate, and The Kenyon Review, among others. He recently received a 2018 NEA Fellowship for Literature. He teaches creative writing at the University of Massachusetts Dartmouth and lives in Providence, Rhode Island with his wife.